Chris Craft $500k spent on this dream machine, dare to dream! 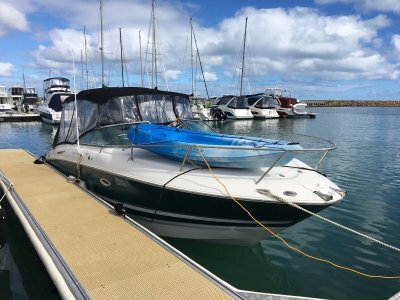 No expense spared on this incredible boat its got the wow factor in abundance a must have for those that demand the best and want to be noticed on the water, a real head turner. Only 68 hrs on the Mercruiser 496 DTS motors that get her up to play with ease and let out a beautiful chorus of sound. . . .
Dry stacked boat that is ready for the family. 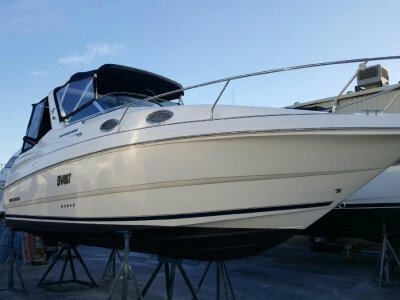 Lots of money spent and receipts for: Lots of space and large marlin board at rear Brand new leg(Jan 17-15 hrs) New adjustable captains seat(Jan 17) New exhaust manifolds(April 17) New petrol tank(April 17) New starter motor(April . 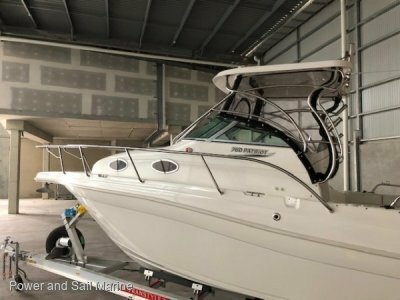 . .
Leeder 28 Flybridge Ready for summer, legendary WA build!! This must be the best Leeder in WA. 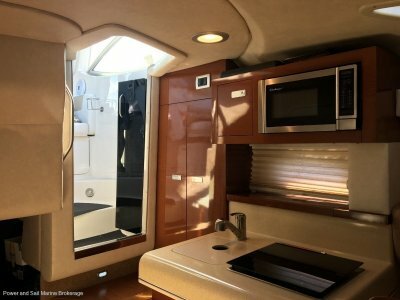 New carpets, covers, galley kitchen, seats so there is nothing to spend and lots to enjoy. Grab your keys as this won't last. 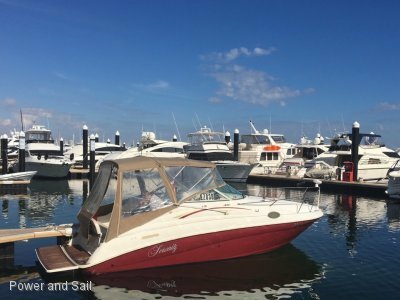 Its an absolute gem and if you want a flybridge built in WA with a legendary name then look no further. Ring Neil now . . .
Australia's most popular mid sized cruiser in its class! 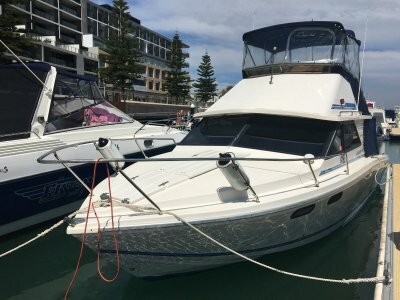 These Mustang' are the best all round sports cruiser for West Australian waters having been detailed and she is extremely clean and tidy ready to go now. Powered by a Volvo 5.0 Gxi 260HP V8 Stern-drive. Recently had new . . .
NEW FEEL>>>>>NEW FEEL>>>>>NEW FEEL Do you want new and loved then this is it!! 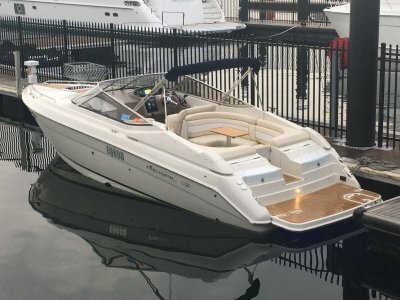 I've not seen a better 260/275 SeaRay and with only 166hours, it is immaculate downstairs and probably never been slept in. Riviera styling with square lines and classy fabrics. . . . 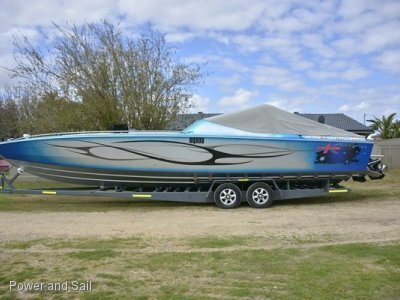 This is a wonderful boat and the past owner has seriously over capitalised on it with his "Regal" tastes as he desires the best. 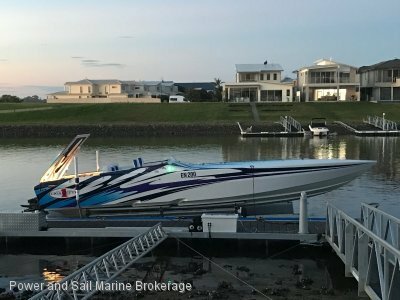 You need to see this this cracking river, day boat, Rotto or weekender that will turn heads and seriously wow your family & friends. It doesn't get . . .
Haines Hunter......... Stop looking if this is what you want!!!! We will spilt the package if you want to pen or rack this boat. Must see this weekend, New to the market. Its in Fremantle and we can show it today. A few of the options it has..... Anchor Winch - Inc Rope & Chain . . .
Monterey 245 Cruiser Weekender, Day tripper in the river or the sea!! 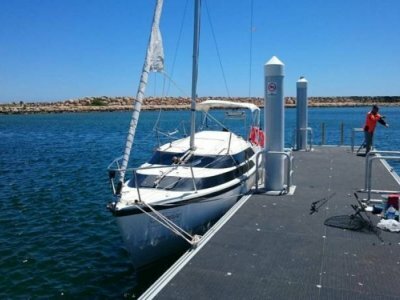 Great boat for cruising up the river with friends or over night at Rotto, great entertaining boat. Large swim platform with SS rail & BBQ. Near new Zodiac Tender, clears, carpets. Boarding ladder on bow and Stern. This vessel has been loved and used. Well serviced and receipts to . . .